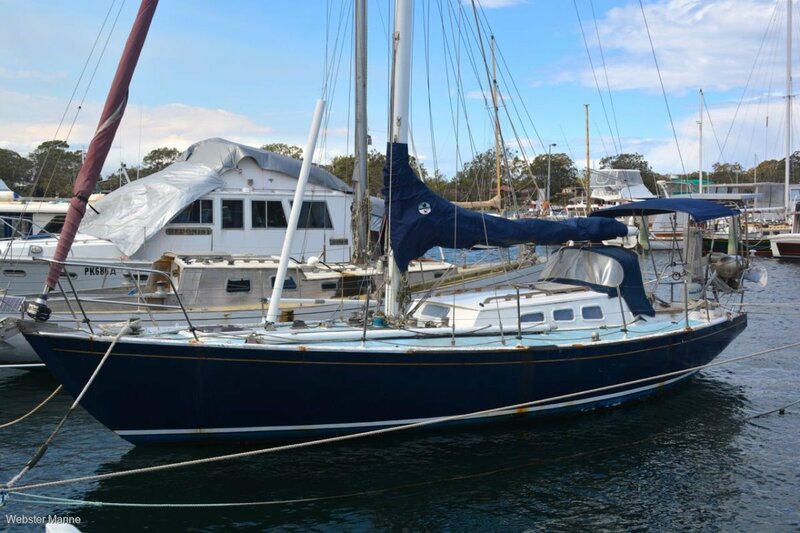 This 10 m steel yacht is being sold under instruction from Gippsland Ports "as is, where is". The vessel is of steel construction with insulated timber deck and coach-house. Design is known as a Hall 10 and is a full keel configuration (accompanying photos on slip were taken several years ago, other photos are current). Exact age is unknown. Auxilliary diesel is a late model 3 cylinder Diecon of approx. 30 hp which was installed approx. 2 years ago and is in working condition. Sail wardrobe consists of main and furling genoa on a Furlex furler plus other assorted sails. General inventory includes multiple electronic instruments (untested), wind generator, stainless BBQ, gas stove/oven, portable electric fridge/freezer, TV and DVD player, cockpit bimini, dodger and 3.5hp outboard motor. Accommodation includes bunks for 5, marine toilet and galley area. Full headroom in main cabin. This vessel is described as being in fair condition throughout.